Sitting down at a table in the Cathedral restaurant, right in the centre of the city, soaking up the welcoming atmosphere, you’ll be able to watch the hubbub of Barcelona daily life through the restaurant’s large windows. The Cathedral square and the building facade’s impressive gothic spires make for a perfect setting for enjoying a varied menu of local foods, made with innovation and creativity. Not to mention its exquisite presentation! 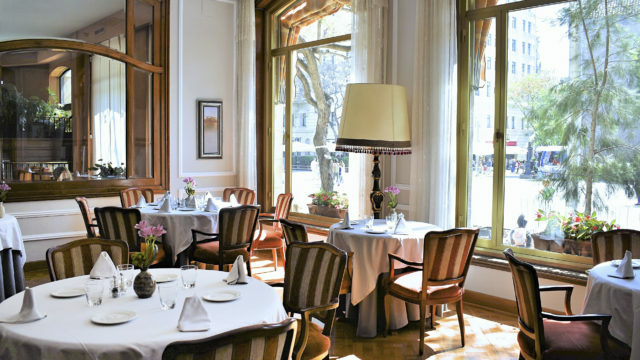 Furthermore, the restaurant at the Hotel Colón also has a set daily menu, which offers wonderful value for money.